Can be used on water, on a terrace or at the beach. Inflates in just a few minutes. Integrated headrest pillow included for added comfort. Integrated 2 cup holders and 2 magazine pockets. Integrated handle for easy transport. Zipper opens and closes for an angled or lying position. Escape Your Worries, Drifting in Elegance! Every summer, your pool will become a tropical paradise with the Drift + Escape Circular Floating Island. This giant float is wrapped with a premium colorfast polyester fabric that provides exceptional comfort and unparalleled durability. At 6-ft in diameter, this generous island allows you to share your utopia with a friend. The built-in cup holders keep your favorite liquid refreshments handy, adding to your tropical experience. Bring paradise a little closer to home with the Drift + Escape Circular Floating Island. This Marine Blue Inflatable Flip Flop Float will catch the eye of every guest at your next pool party. Fun sandal straps double as a great head rest, or put your arms under them to paddle around the pool. A convenient built-in cup holder keeps your refreshments close at hand. Lay back and rest easy on this 6 foot long float that is sure to be the fun float of choice at your pool. A good old sun salutation! This friendly and cute ring inflatable is made of PVC with a soft golden finish. It's 12 gauges thick and can withstand both outdoor and pool use with its weather resistant exterior. It's also nicely sized at 3 feet wide and features a black handle for quick control and removal. 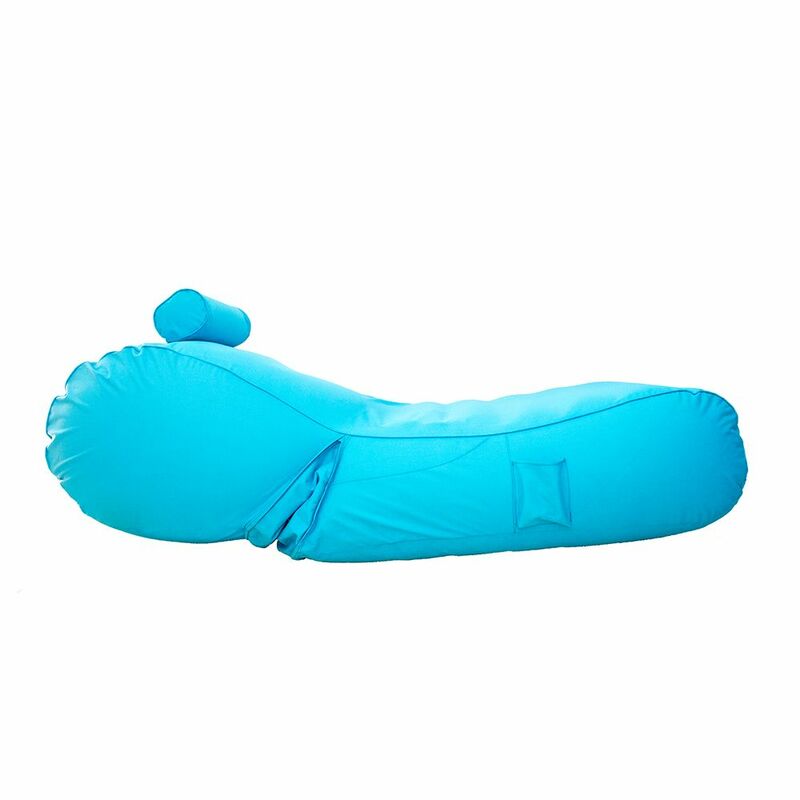 Aqua Sunlounger - Inflatable Pool Float (Blue) Make the most of the dog days of summer with this deluxe oversized pool float complete with headrest and side bottle pockets! The ultimate in poolside luxury, this covered inflatable chaise-style lounger features UV- and rain-resistant 600-denier polyester that can be removed for easy cleaning. Thick enough to feel like you are floating on air, long enough to keep your entire body out of the water while relaxing, the Aqua Sunlounger inflatable swimming pool float lounge chair can be used in and out of the pool.